In keeping with the process I’ve been using in my last series that began with a photo of my brother Mike*, beginning with Portrait, Mike and Mom, ending with Autism and Cave Paintings. In yesterday’s post (Emotional), I revisited a seminal photo in my long term photo project about him. Today I tried to boil down his look of sadness. I focused on one eye. It appeared to have a tear in it, but since the photo was so grainy it was hard to tell. In my first watercolor attempt I was very meticulous about every brush stroke. I used fast brush strokes in my second attempt. In my third attempt, using a black oil-based pen, I was unable to achieve any nuances in shading. Perhaps I could have, had I taken more time. 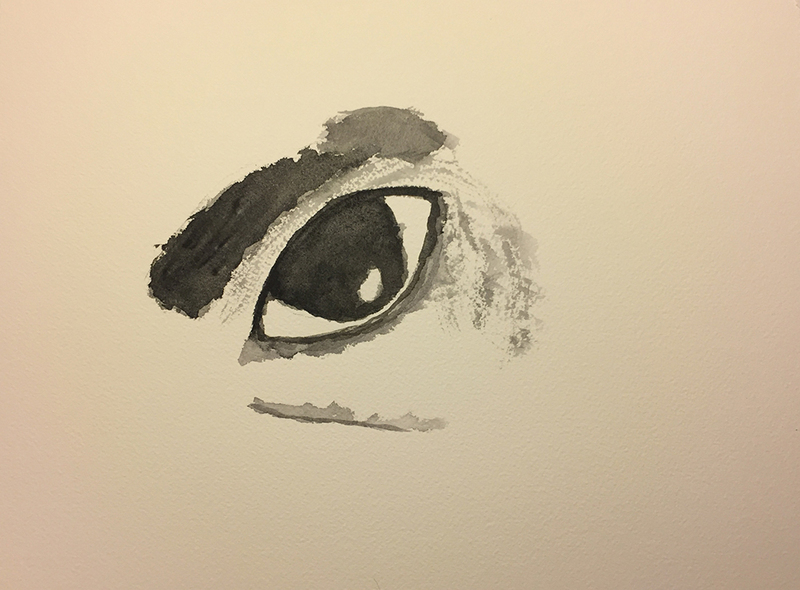 But I think Mike’s crying eye requires the analog approach of watercolor rather than the black-or-white approach of a pen and ink sketch. 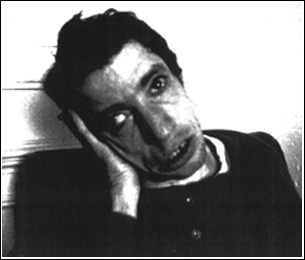 * Mike was diagnosed with autism and “profound retardation” in the 1950s. He has never spoken. 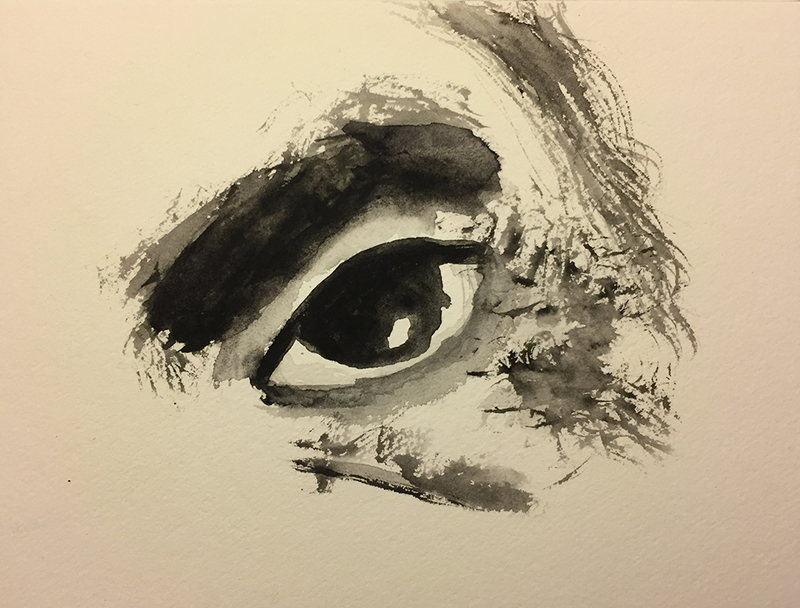 This entry was posted in Mike, Personal Stories and tagged abstracting, artistic process, autism, autism siblings, creative process, creativity, emotion, family dynamics, portraiture, watercolor. Bookmark the permalink. These are excellent eyes. You convey the sadness very well.